Kent Ro water purifier Available UF membrane Makes water purer without using any chemicals like chlorine , bromine . *Benefits of RO Water Before knowing about the Benefits of RO Water , we have to know about RO. Reverse osmosis is a technology that uses in water purification. Reverse osmosis is use to remove ions , larger particles and Molecules from drinking water . The work of Reverse osmosis use to increases the pressure on the salt side of the RO . *It’s Better for Cooking Impurity in the water of your home affects the taste of the food you have made . The water your cook with is often finished in your diet . If you are using simple water for cooking , it is important for you to know that there is too much Chlorine in it . Not only will this food get a weird taste , it will also break it. But RO water is pure and clean , along with chlorine balanced quantity in water .It also helps in making delicious Food. *RO Water Tastes Dirt in water makes us feel harsh . RO remove all the dirt and germs from water. Because which of the water becomes soft and tasty. *RO Water Is Good For Health Dirt and germs are present in simple water, which are harmful to our health. But no dirt and germs are present in RO water .Many types of kinds of illness from drinking crappy water. So, we should always drink RO water . Our Doctor also advises to drink RO water. 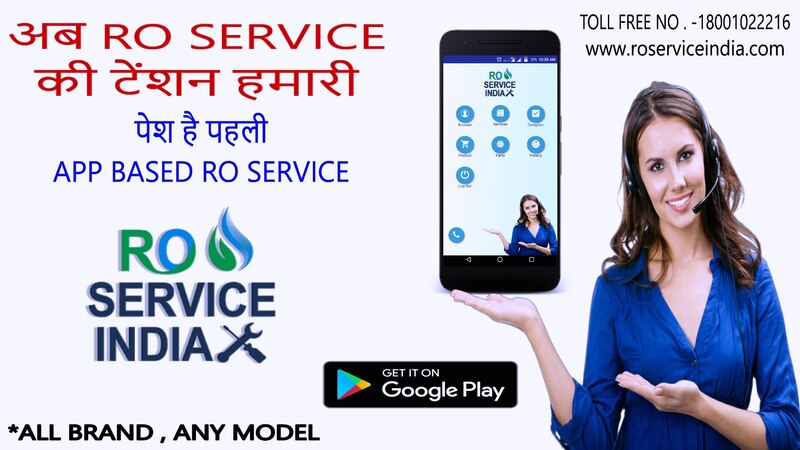 RO SERVICE INDIA PROVIDE RO WATER PURIFIER SERVICE .CALL FOR RO SERVICE 18001022216 & VISIT ON www.roserviceindia.com FOR MORE INFO .